I had never tried this foundation with a primer underneath until recently. With a primer, this foundation lasts all day and gives me a nice flawless finish. 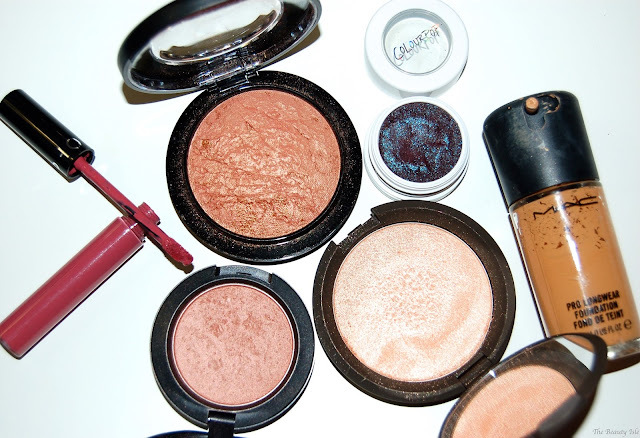 If you're a regular reader of The Beauty Isle you know that I love ColourPop eye shadows. Bae is a glittery purple/blue/turquoise jewel toned shadow color. Right up my alley! I love this liquid lipstick, it's a total dupe for Stila's Patina but more affordable. This shade sells out pretty often but as I'm writing this, it's available online so if you want it, get it now. I had to get on the email notification list twice because it sells out so quickly! This is currently my favorite highlighter that I own. It's a gorgeous peachy/gold. You can see more photos and read my full review HERE. This is a limited edition item that was made in collaboration with Jaclyn Hill. It's currently available on the Sephora website, so if you want it, I wouldn't wait! I love this blush/bronzer/highlighter (it can truly be any of those things!). 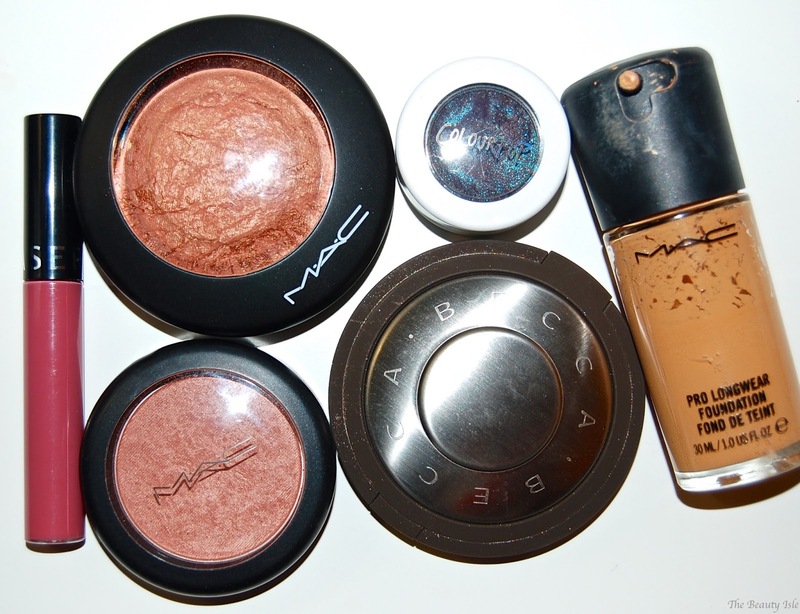 It's a gorgeous shimmery golden bronze powder that I can wear on it's own or as a highlighter. This is a frost blush and it truly does give a nice frosty sheen to my cheeks when I waer it. It doesn't look like much in the pan but it's gorgeous once it's on my cheeks. What are your recent beauty faves?